What are your options when it comes to how to make voluntary super contributions? Yes. By law, your employer must pay 9.5% of your earnings to your designated super fund, providing a minimum contribution to your superannuation. However, you can also contribute more to your super, either from your pre-tax salary, or by directly depositing your post-tax earnings. Then there are government co-contributions that can help you along. Making extra super contributions can make a huge difference in the long run. Contributing what you can afford to go without now can help to make your retirement more comfortable. The more you contribute to your super now, the more you’ll have when you retire. It’s worth taking the time to see what you can afford to sacrifice in the short term, to create a more comfortable future for yourself. This advice is general and has not taken into account your objectives, financial situation, or needs. Consider whether this advice is right for you. Consider the product disclosure statement (PDS) of your super fund and read all available information on the ATO website before making any decisions. Do many people make voluntary super contributions? It’s not clear. The most recent statistics on superannuation from the Australian Prudential Regulation Authority (APRA) show that the December 2016 quarter saw $103.7 billion in total contributions to our superannuation accounts. What the statistics don’t touch on is how people make those (rather sizeable) voluntary super contributions. 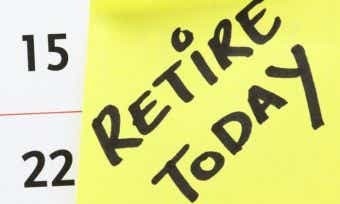 Our mandatory superannuation system will turn 25 next year. 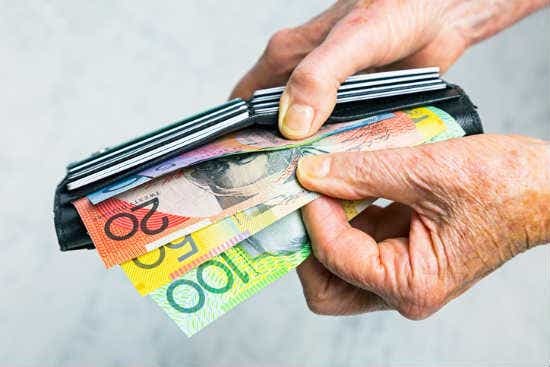 But with the average superannuation balance being just $100,000 according to AIST (although that’s not quite as grim as it sounds), it seems as though the average Australian either doesn’t know how to beef up their superannuation balance or simply doesn’t want to. There’s not much that can be done if people don’t want to contribute to their super, but if you just don’t know how then you’re in luck. We’ve put together this handy guide to the different ways you can make voluntary super contributions to your superannuation account, along with their various pros, cons, and tax implications. If you’re new to the topic of superannuation, read our quick guide to superannuation first. Pre-tax contributions are arrangements that allow you to divert part of your salary to your super account before income tax is applied to your pay check. Pre-tax contributions are generally viewed as both a prudent and tax-effective way of boosting your super. Because the money is removed before income tax is applied, you are reducing your taxable income for that the financial year, which may mean you fall into a lower tax bracket and pay less that that year. These pre-income tax contributions can still be taxed, but the highest tax rate that can be applied is 15%. Considering some of us pay up to 49% tax on our yearly income, that can be a substantial saving. Keep in mind that there is a limit on the before-tax contributions you can make in any given financial year: $30,000 per year for those aged under 50 years old, and $35,000 per year for those aged 50 and over. Any contributions that exceed these limits will be taxed at the highest tax rate of 49%. These limits apply to all before-tax contributions, including salary sacrifice, Superannuation Guarantee, and any other employer contributions. So let’s have a look at how you can make pre-tax contributions to your super. One of the better known and more widely used methods of contributing to one’s superannuation is salary sacrificing. Salary sacrificing is an arrangement you have with your employer in which you authorise them to take a portion of your weekly/fortnightly pay (e.g. 5% or 10%) and deposit it directly into your super account instead of into your bank account. Salary sacrificing is a very tax-effective way of adding to your super. When your employer directs a portion of your pay into your super account, this additional contribution is taxed at the rate of 15%. By forgoing some income now, you can increase your super balance, while also possibly decreasing your overall tax burden (depending on your usual marginal tax rate). Salary sacrificing some of your pay is handy because once it’s set up, you don’t have to think about it again unless you want to change the amount being sacrificed. Every time you get paid, you can feel satisfied with the fact that another small, but not insignificant, amount of money has been added to your superannuation balance. Salary sacrificing is also useful if you’re looking to reduce the amount of pay as you go (PAYG) tax being applied to your regular wages. If your salary sacrifice every week is enough to put you in a lower tax bracket, you will pay less tax each week. There may not be less money in your pocket on a weekly basis, if the money that was being lost to tax is now safe and sound in your superannuation account, having been taxed at just 15%. You can only contribute so much of your before-tax salary each year. The upper limit of this optional contribution is typically $30,000/year, or $35,000/year if you are aged over 50 years old. This limit includes the guaranteed 9.5%. Until 1 July 2017, the limit to pre-tax contributions is $30,000 or $35,000 if you’re 50 and older. From 1 July 2017 onwards, the new limit will be $25,000 for everyone. The only negative aspects of salary sacrificing come into play when one reaches the $30,000 or $35,000 limit on before-tax contributions, at which point you’ll start attracting much higher tax rates – which obviously isn’t ideal. Other than that, salary sacrificing is a relatively easy way of contributing extra money to your super. Pre-tax dollars can be contributed to your super by both your employer and the government. Your employer has an obligation to contribute to your super if certain conditions are met, and the government will contribute to your super if you are eligible for either government co-contributions (see below), or the low-income super contribution (LISC) scheme (see below). The LISC is a government scheme which boosts the superannuation balances of low-income earners. If you earn $37,000/year or less in “actual or estimated adjusted taxable income”, the government will contribute 15% of the total pre-tax contributions made by you or your employer into your super account. For more information on the LISC payment, visit the ATO page concerning the scheme. So that’s pre-tax contributions – moving on to post-tax contributions! Post-tax super contributions are made from your take-home pay – that is, the wages you receive after PAYG tax has been applied to your gross salary. These contributions may seem less tax-effective at first glance, because your contribution is taxed as salary and then taxed again when it enters your super fund. But there are certain situations in which post-tax contributions can have their own set of benefits and tax advantages. 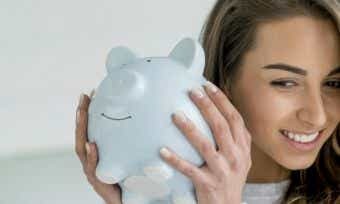 You may be able to simply deposit money straight into your super fund without having to pay extra tax, as the money has already been taxed when you received it.Post-tax contributions up to a limit of $180,000/year per person do not get taxed by your super fund, and are included in your tax-free component when you access your super upon retirement. Self-employed individuals can also claim a tax deduction on after-tax super contributions that do not exceed the $180,000 after-tax contribution limit. The limits on post-tax contributions are changing as well. Until 1 July 2017, the limit is $180,000/year (per person), and from 1 July 2017 onwards, the limit will be $100,000/year (per person). Exceeding these limits will result in you having to pay extra tax. You must earn less than $51,021/year including assessable income, fringe benefits, and reportable super contributions. You must make at least one after-tax contribution to your super. You must earn 10% or more of your income from eligible employment, running a business, or both. You must be a permanent resident aged under 71 years old. You must lodge a tax return for the previous financial year. If you meet the above criteria, the government will contribute 50 cents to your super for every dollar contributed by you, up to a maximum of $500 for the lowest income tier specified under the scheme. The various tiers of the scheme are outlined below. The co-contribution is paid directly into your super account as a lump sum after your tax return for the financial year has been processed and approved. It is not received as a series of ongoing payments throughout the financial year. If your spouse is currently not working or earning a low income, you may be able to claim a tax offset on post-tax contributions you make to their super account or retirement savings account (RSA). The threshold defining a “low income” for your spouse is changing: it was a limit of $13,800/year or less in 2016-17, and it will be a limit of $40,000/year or less in 2017-18. The maximum tax offset available is $540/year (per financial year). From 2017-18 onwards, this tax offset is only available if your spouse had not exceeded their non-concessional contributions cap for the relevant year, or they had a total superannuation balance equal to or more than the transfer balance cap immediately before the start of the relevant financial year. Eligibility and more information about the spouse super contribution tax offset can be found on the ATO’s website.